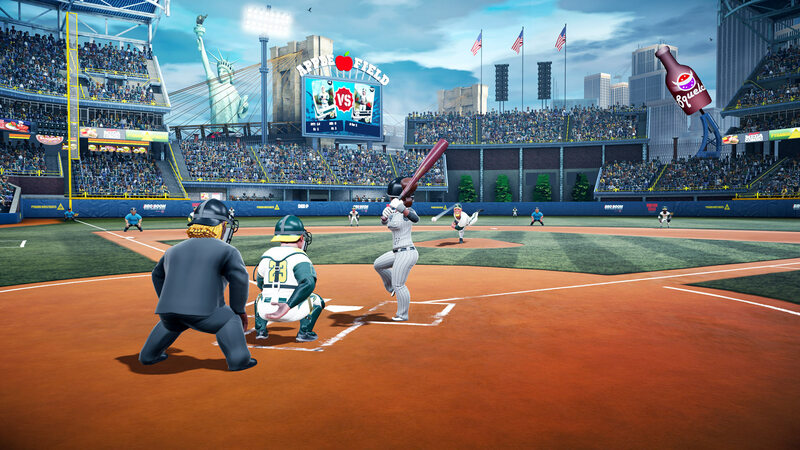 When it first came out in 2014, Super Mega Baseball was one of the best baseball games in a long time. It took all the complexities off baseball and distilled them down to their essence, concocting a deep but surprisingly approachable baseball simulation. Hell, it’s the game that taught me to like a sport I otherwise had no interest in. 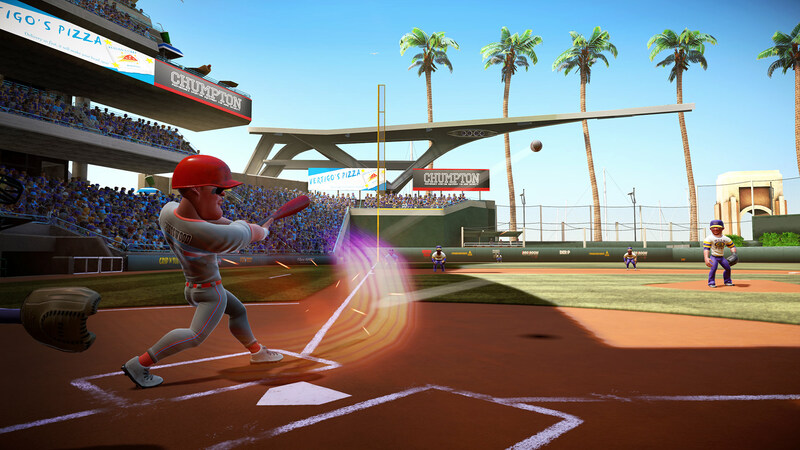 Super Mega Baseball 2 takes that successful formula and builds on it with a wealth of new features and some tinkering around the edges. The result is a game that’s easily up there with the best video game adaptations of America’s national pastime. Baseball begins with pitching, and Super Mega Baseball begins with its deceptively simple pitching system. Choosing a pitch type is as easy is choosing from a wheel of options that roughly corresponds to the direction you want the ball to travel: fastballs on the upper parts of the wheel, sliders and screwballs to the sides, and things like curveballs and forkballs at the bottom. No idea what those words mean? No worries—the interface also shows you the trajectory of the selected pitch. Even if you’re not familiar with the names, you can get a good idea of what a pitch is going to do. Related: If you’re looking for a more realistic, licensed baseball game, you can’t go wrong with MLB The Show 18. Read Hadyn’s review. When it comes to actually throwing the ball, it’s a simple case of setting your target with the left stick and then trying to line up a moving reticle while you’re pitcher winds up; the closer you get to the target, the better the pitch. Power depends on how long you hold the button down for, or you can opt for a more standardised “Normal Pitch” by tapping a button. With that, pitching boils down to this: select a pitch with the right stick, aim it with the left, press a button to start the wind up, try to hit the target, and release. It’s a far more intuitive system than the abstractions of menus and power gauges, allowing you to focus on the strategy of pitching rather than the mechanics of it. Batting is similarly simple: aim your swing at where you expect the ball to fly, and then either swing normally, wind up a power hit, or bunt. Depending on the difficulty you’re playing on, you’ll get some assistance with aiming, but whatever your settings, the simplicity and lack of UI noise means you can focus on each pitch and how you want to respond to it. Fielding and base running, once again, keep things straightforward. They’re automated for the most part, though you can direct runners to specific bases and manually control fielders on a whim if you prefer. Throwing the ball to a baseman is a simple case of tapping (or holding down, for a bigger throw) the corresponding face button on the controller. I’m not normally one to talk in detail about a game’s control scheme, but in the case of Super Mega Baseball 2. It’s simple, it’s streamlined, and it allows you to focus on the tactics and mind-games that make baseball tick. The second piece of Super Mega Baseball 2‘s recipe is the Ego system. In the simplest terms, this is a difficulty setting, but instead of arbitrary Easy/Medium/Hard options, it’s a slider that makes small tweaks to the game system with each step. The lower your Ego, the easier it is to aim pitches and swings, the more lenient the swing timing, the more efficient your fielder AI, and the more easily fooled the opposing batters (along other things). At Ego 1, all really need to think about is timing your swing and choosing a pitch, and even then, there’s a lot of room for error. The opposing AI makes mistake after mistake; victory by a huge margin is all but guaranteed. At Ego 99—the max—Super Mega Baseball 2 is borderline impossible. You have to really master the pitching and batting systems or you’ll whiff every swing and throw wild pitches all over the place. Even then, you’ll need to make use of every tool available to you to outplay an incredibly devious AI. Those are the extremes, but there are almost 100 different levels of challenge between them. Whatever your skill level, you can find an Ego setting to suit, and you can adjust it up or down whenever you like—even during a match. Super Mega Baseball 2 also sports some very good tutorials. Obviously, there are the standard ones that teach you how the game works, but they go a lot deeper than that. You’ll get advice on things like pitching strategies, and the game even goes as far as giving you dynamic tips on things you could improve based on how you’re playing. This is a game that can be very difficult if you want it to be, but most of all, it’s a game that wants you to keep getting better. Most of what you’ve read so far is as applicable to the first Super Mega Baseball as it is to this one—don’t fix what ain’t broken, and all that. There are some tweaks to the physics engine to make ball behaviour more lifelike, but in the moment to moment, this is largely the same game. 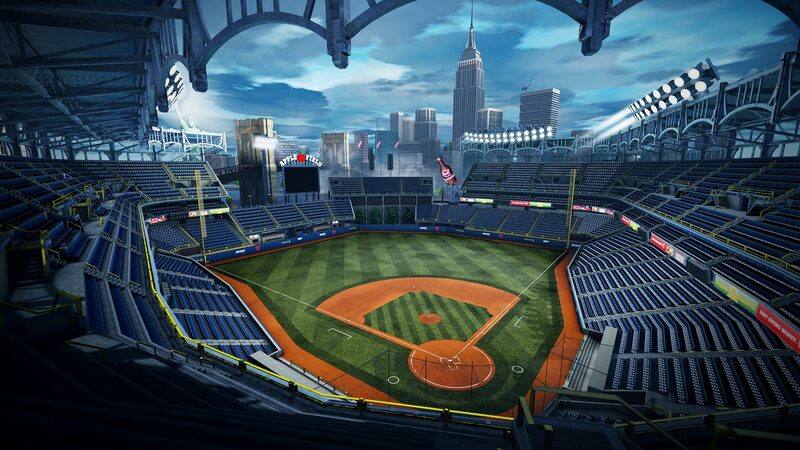 Super Mega Baseball 2′s big improvements are in the game modes and peripheral features. Most significantly, there’s now online play across all game modes; you can go head to head with other players, run elimination tournaments, and even play cooperatively in season mode. There’s also a dedicated online mode called Pennant Race, which lets players compete in ranked leagues—divided by Ego rating, of course. Online play works across platforms, giving everyone access to a much bigger player base than they’d otherwise have. That said, I still found that matchmaking tended to take a while, and lag spikes were relatively common, though your mileage will vary. 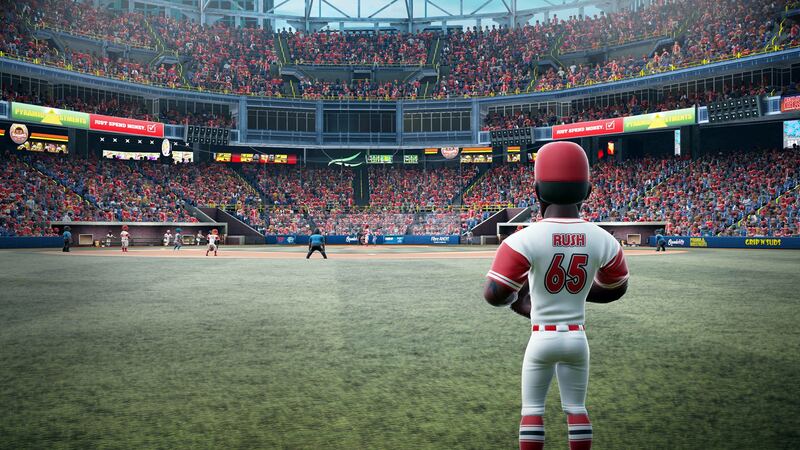 Super Mega Baseball 2 also expands on the customization options offered by the first game. Instead of just editing the existing teams, you can create your own, complete with custom logos, colours, uniforms, and so on. You can edit players’ stats (and give them 99 in every skill, if you like!) and pitch loadouts, and customise their looks, but there’s isn’t a huge amount of options for that latter, sadly. Luckily, online modes have separate streams for custom teams and the standard, balanced ones. In Pennant Race, only standard teams are allowed—there’s no need to worry about a squad full of maxed out beefcakes upsetting your record. 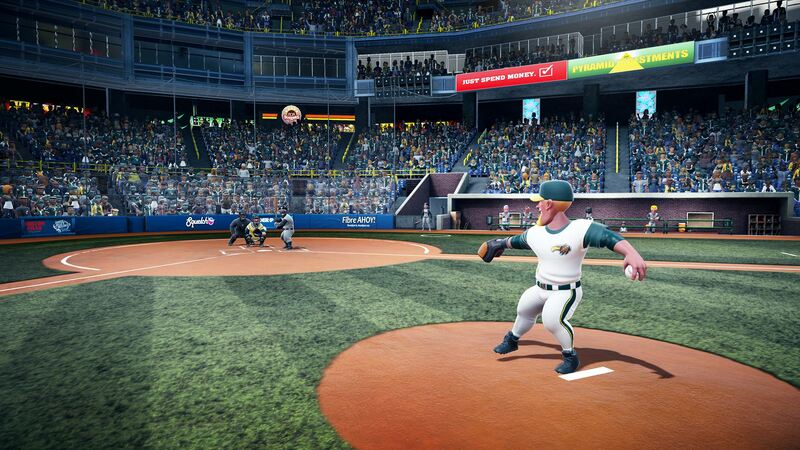 Baseball games rarely come as good as Super Mega Baseball 2. It cuts straight to the heart of what makes baseball so exciting, without getting caught up in minutiae or arcane game systems. Weather you’re an expert slugger or you’ve never watched a baseball game in your life, this is a game that’s worth your attention. 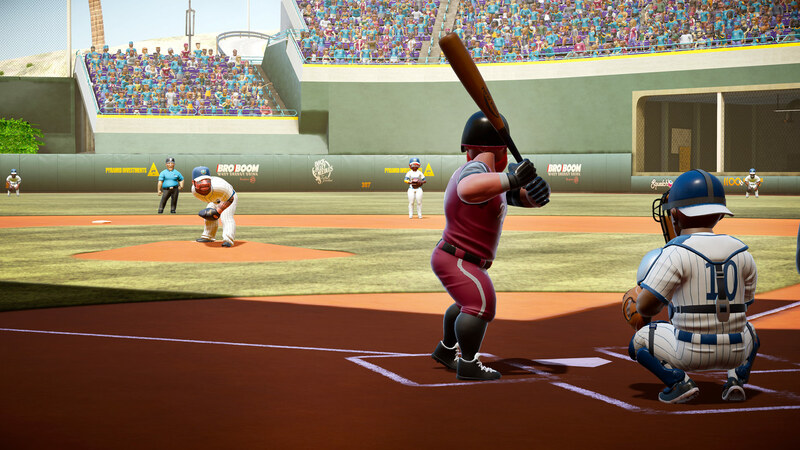 Super Mega Baseball 2 is developed and published by Metalhead Software. It’s available now for PlayStation 4 (reviewed), Xbox One, and PC.